Weather Boarding Solutions. 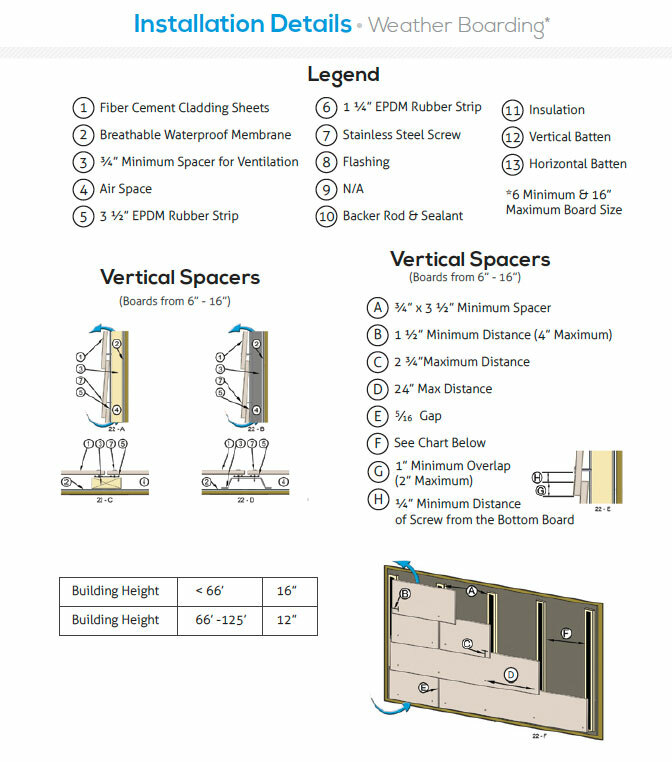 The Product Guide contains all our literature and installation instructions needed to install the material. Please remember that our Product Guide is always available to view or download paper free on our web site. Click here to see our Product Guide for more information on Fiber Cement Cladding Sheets, Breathable Waterproof Membrane, Stainless Steel Screw, Insulation, Backer Rod & Sealant.